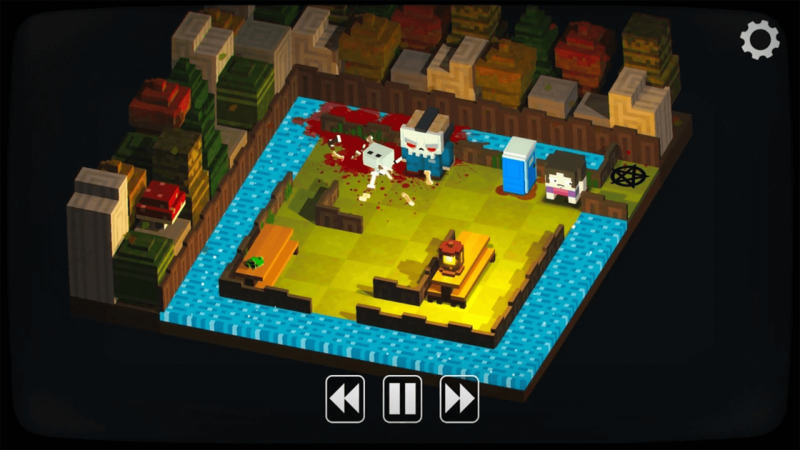 It may have taken Blue Wizard Digital a couple of months, but Android fans can finally partake in the fun that iOS users have been ranting about since February, as Slayaway Camp has finally arrived on Google’s mobile OS. And what fun! As noted in my review, while it is a slide puzzler at its core, the complexity of later levels, coupled with a lovely art style, still makes for a very enjoyable experience (even I’m awful at it). Now, while mobile ports these days tend to be either free with microtransactions, paid without, or a mix of the two, according to the developer, Slayaway Camp is ‘paid without’. A tad puzzling how the “In-app Products” part of its description on Google Play has a price tag in it then, ain’t it? But I’m sure there’s a logical explanation for that. Somewhere. On a somewhat related note, those interested in acquiring a copy would do well to act fast, as its launch carries a so-called “super sweet launch discount price” of $1.99. So two bucks for a ridiculous amount of innocent bystanders, cops, cats and SWAT people to… deal with? Super sweet launch discount price indeed. What are you waiting for? Slayaway Camp is available from Steam, iOS (iTunes) and Android (Google Play), at various prices. Slayaway Camp – Now on Android!